Strip tags - Strip tags if active, will remove all HTML formating and leave text only. Allowed tags are; b,br,span,strong,a,i,em. Inherit style from - Insert special heading ID to inherit the style from. If you have multiple special headings with same style you can set main special heading Custom ID than add that ID here. This way every special heading on this page with this inherit ID will use same CSS. 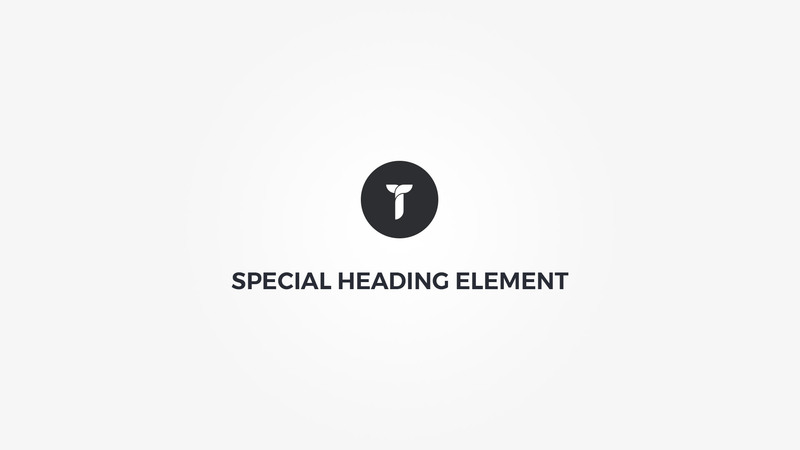 This reduces the overhead CSS and renders the special heading faster. Note that once the inherit ID is added the CSS for this special heading is not printed. The effects must be set on per element basis. Heading Tag - Set heading HTML tag. Container box style - Adjust .thz-heading box style. Heading holder metrics - Adjust heading .thz-heading-holder metrics. Heading style - Select special heading style. Font settings - Adjust heading font. Sub text - Add sub text. Sub text metrics - Adjust sub text container metrics. Sub text font - Adjust sub text font. Heading parts - Add parts of the text before or after the heading or sub heading. Text - Insert heading part text. Part metrics - Adjust part metrics. Font settings - Adjust part font. Gradient text - Use gradient as heading part text color.Fallback is color 1 on non webkit browsers. Heading part color from Font settings is not used if gradient is active. Gradient text - Use gradient as text color. Fallback is color 1 on non webkit browsers. Heading color from Font settings is not used if gradient is active.